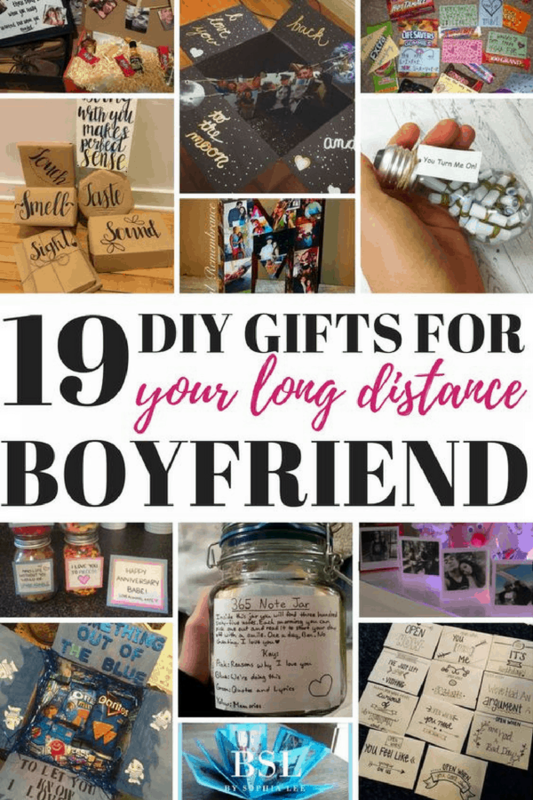 This post is all about DIY gifts for long distance boyfriend. 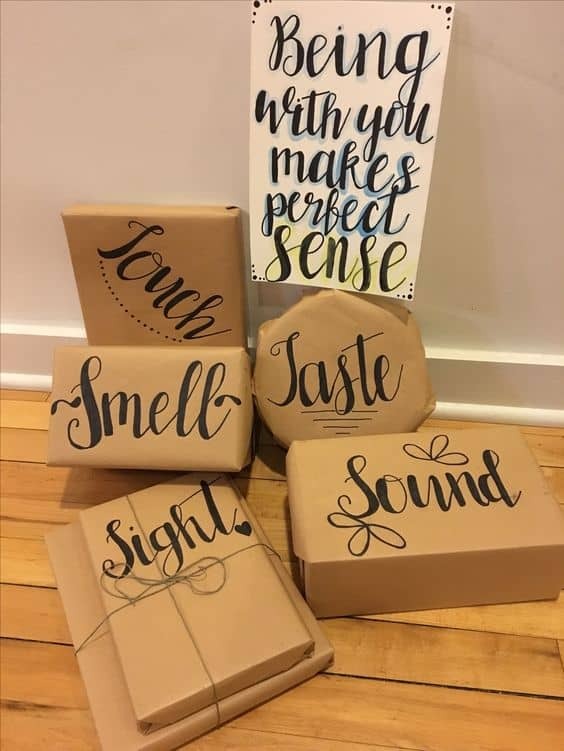 Let me guess: You’re here because you want to be that oh so cute girlfriend and send your long distance boyfriend a gift that shows just how much you love him (and how good of a catch he’s got;)? Well girl, you’re at the right place. 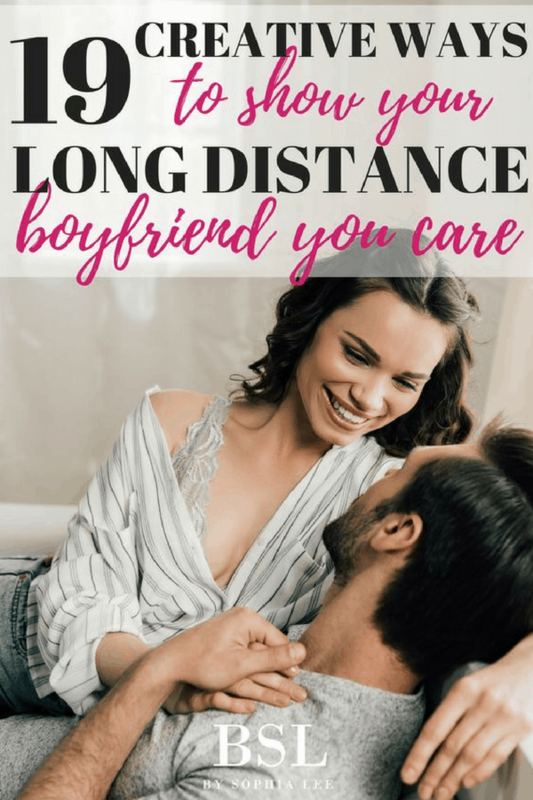 Long distance relationships are hard enough and sometimes just a little surprise package here and there can really show your boyfriend how much you’re thinking of him even when you are hundreds of miles away from each other. My boyfriend goes to school eight hours away from me and it is the WORST! Even though we are so far from each other I like to let him know that I am still thinking about him and will randomly send him packages in the mail. No, they’re not expensive at all or have anything of “value” in them BUT they do show that I put effort into thinking about him. And honestly, it really does make his week having something randomly show up in the mail when he’s not expecting it! 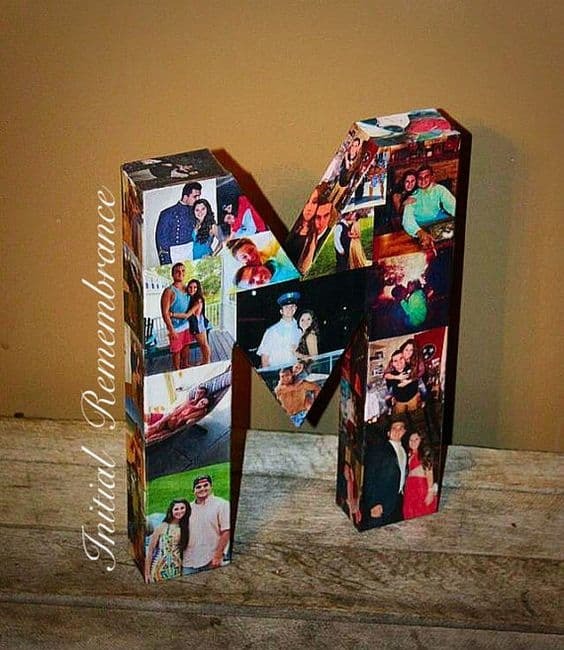 Here are 19 inexpensive DIY gifts for long-distance boyfriend that show you care. Supplies: Brown paper, string, sharpie, gifts. 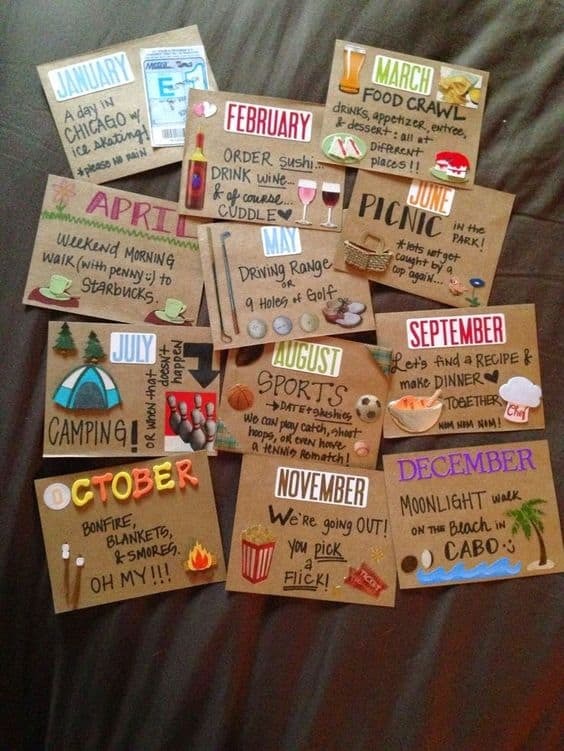 These would be a great way to wrap up some small things that will get him excited to see you next. You could make it of your favorite things together orrrr if you're looking to spice it up, you could make it naughty (haha, felt so weird typing that!!). Supplies: Lightbulb, paper, rubber band. 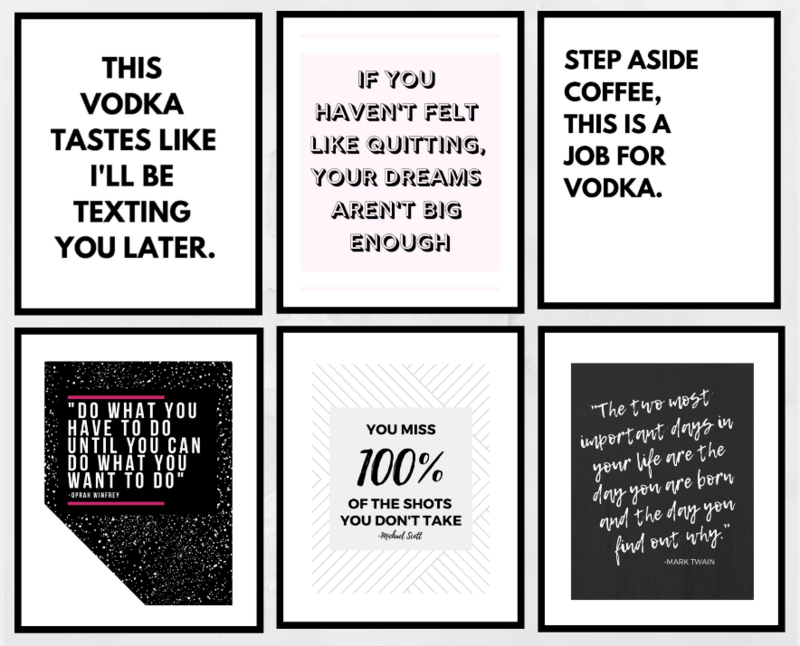 These would be super easy to do and only requires a few supplies. Plus, shipping wouldn't cost a lot. 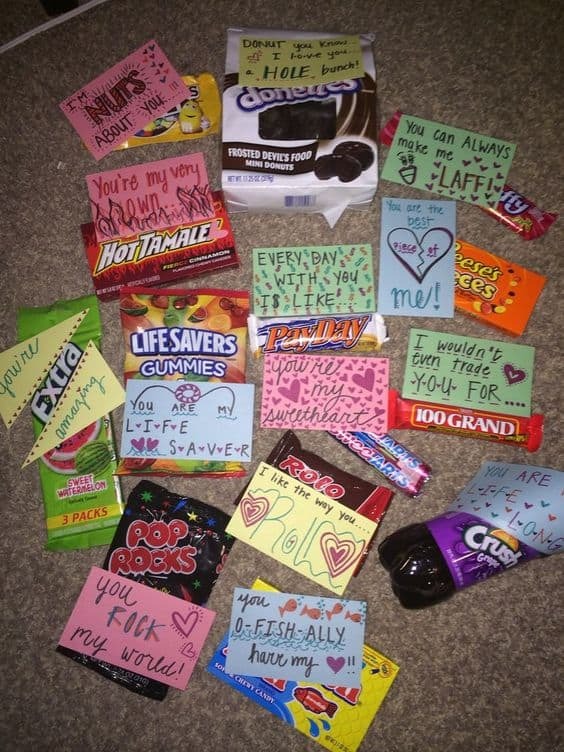 Just write down a bunch of things that you like about him and roll them up. Tie them up with a rubber band and fill your lightbulb up. Make sure when you box it to make it secure so it doesn't break! 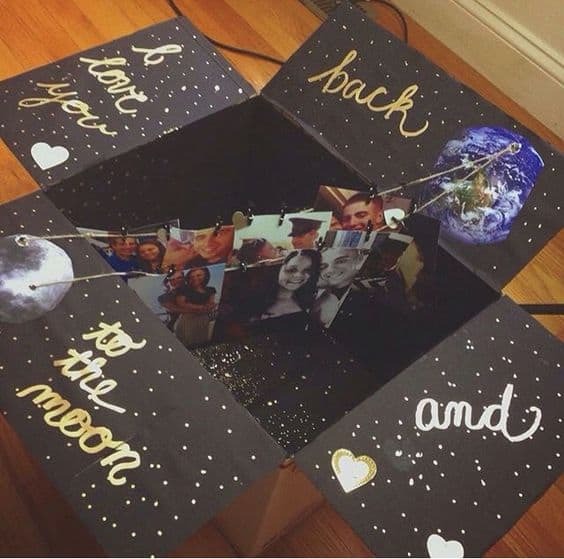 Supplies: Box, black paint, gold and silver sharpies, glitter, string, clips, and pictures. 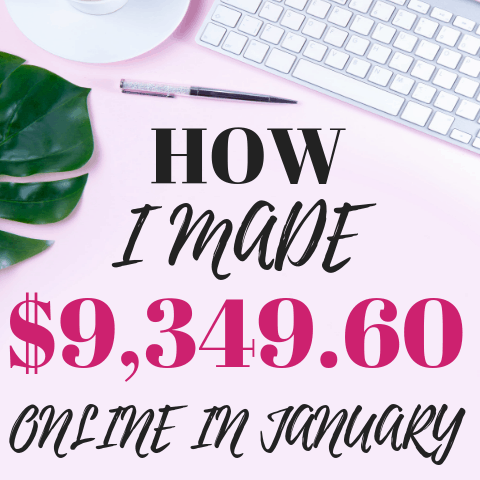 This is a great option if you're not looking at spending too much but makes a big impact. 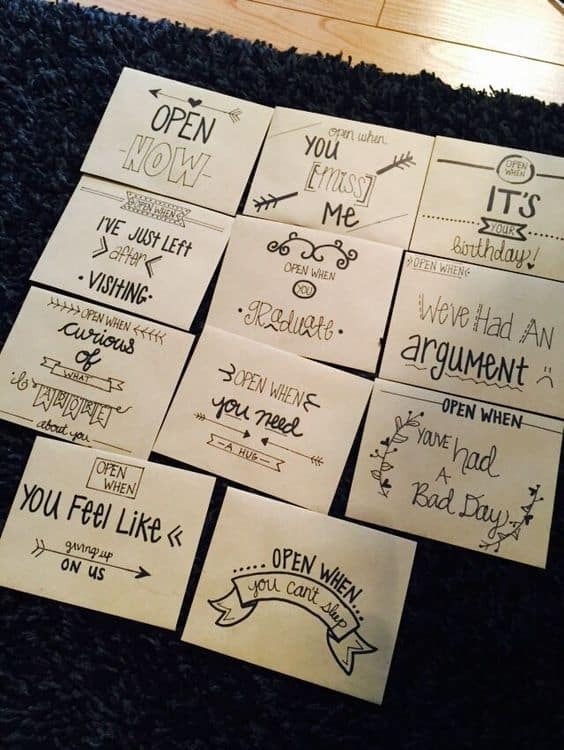 This would be so cute to open and then he could hang the pictures up in his room. Supplies: Box, tissue paper, washi tape, small gifts or letters. How cute would this be to do 12 days before you go visit him?! So you ship the box in advance and then every day before you come he opens a small gift! It could just be letters or you could do little momentos that mean something to both of you. 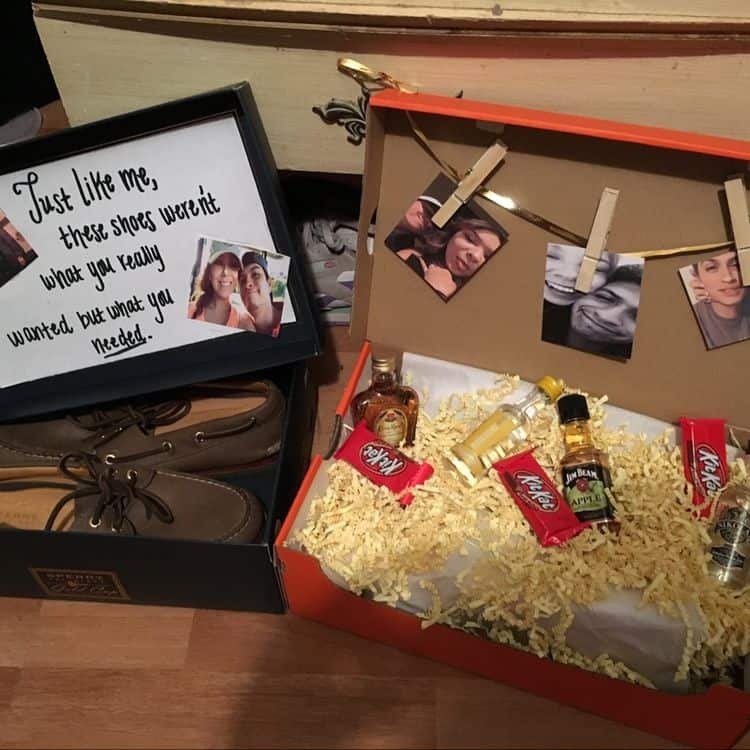 Love this to give him something to look forward to when you are together! Find different seasonal activities that you both enjoy and then you can send your finds to him. Have a Skype date and put it on the calendar! Supplies: Glitter letters, paint, blue confetti, blue snacks. 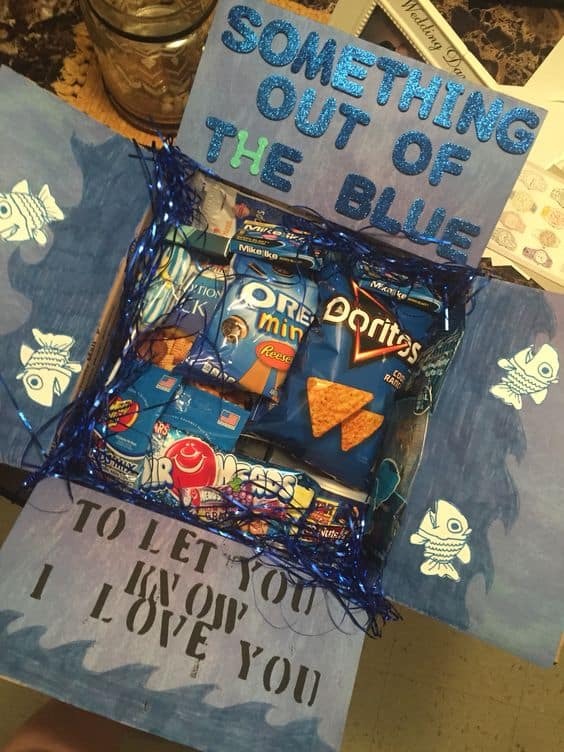 Your boyfriend will appreciate getting snacks and this blue themed box would be such a cute way to do it! SIDE TIP: Highly recommend you paint the box instead of trying to fit paper in it...its the worst to do!! Supplies: Jar, paper, a lotttt of creativity. 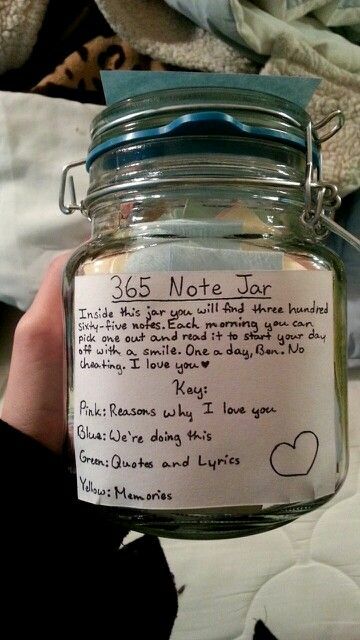 If you can think of 365 notes to write your boyfriend I commend you...;). But honestly, this one would be super inexpensive and a gift that would keep giving for a whole year! 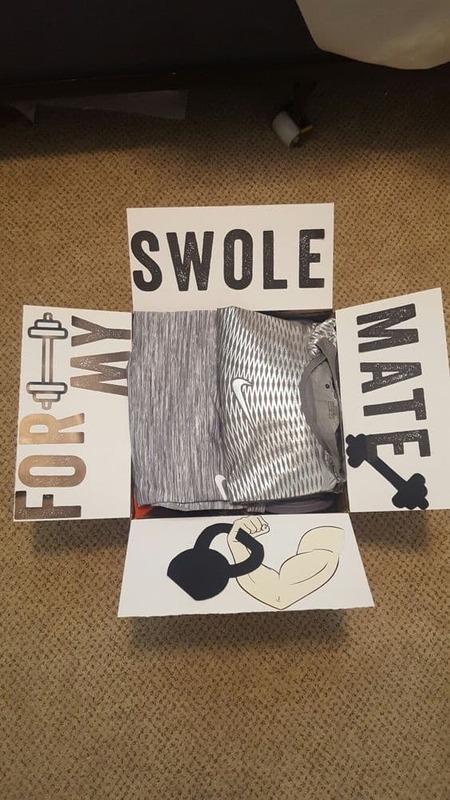 Supplies: Box, stickers (letters and workout equipment), workout clothes. This would take more money since you have to buy the clothes but just imagine how surprised he would be receiving this! So cute. Supplies: shoes, frame, treats, confetti, picture, string, clips. ....also requires a more expensive purchase but it would show you're really thinking of him :). 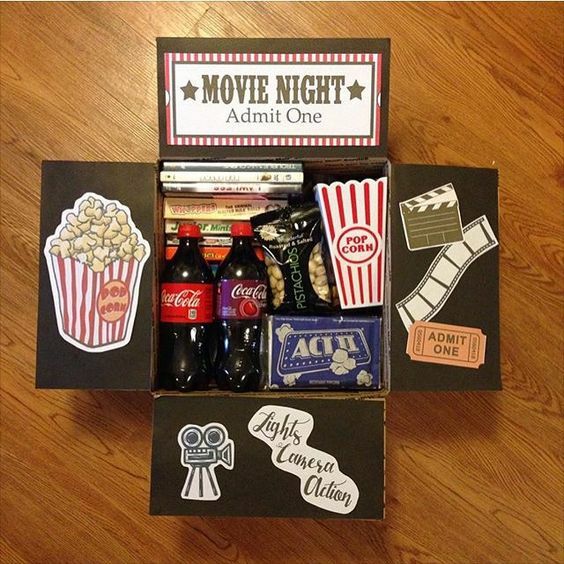 If you don't want to spend as much money you can just do the other box with pictures of him and then some of the cute snacks like pictured. Supplies: Treats, colored note cards, markers. This is a definite dollar store run and is SO cute! Would also be good because he can share the treats with his friends. 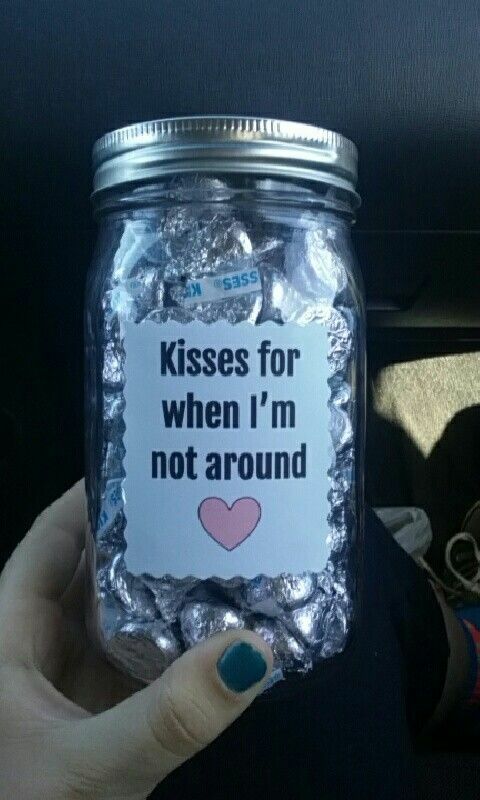 Supplies: Mason Jar, Hershey Kisses, Printable Sticker Paper. How cute is this?! A little cheesy but sometimes we all need a little cheesiness (hate myself for writing that hahah). 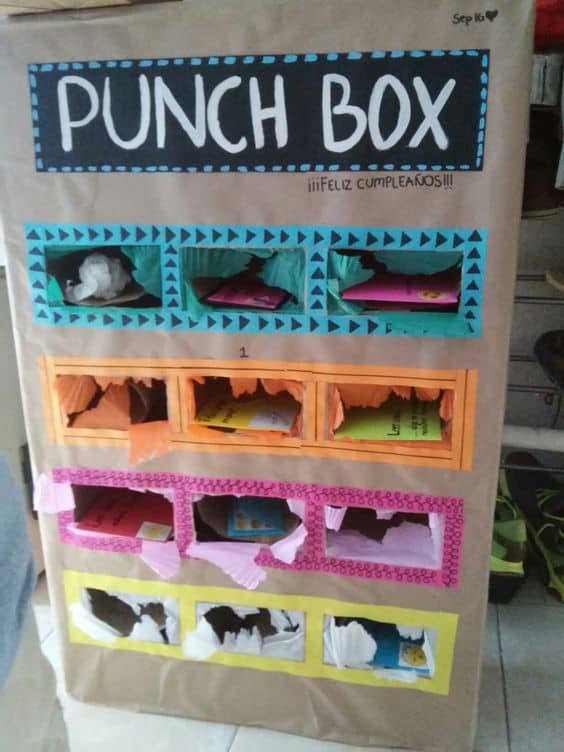 I see this everywhere but honestly its a really good idea! I also like this because you then can keep if for years and that would be so fun to look back at later in life. 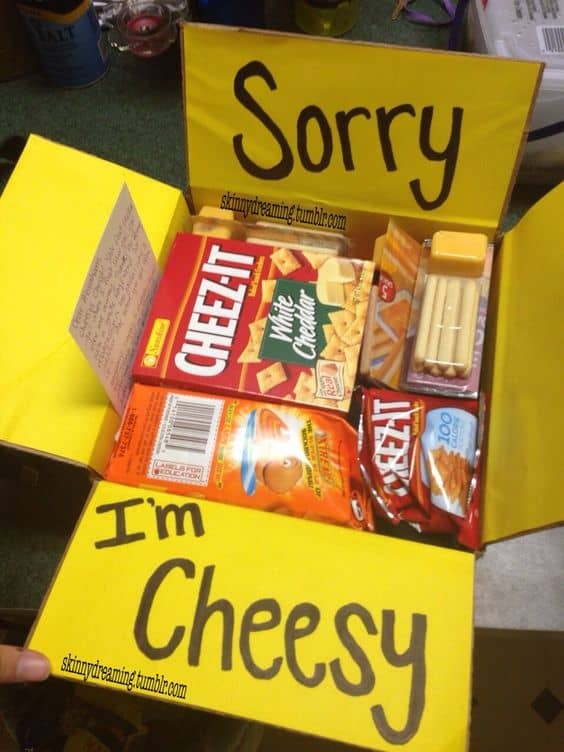 Two other box gifts with snacks...would definitely be a hit! 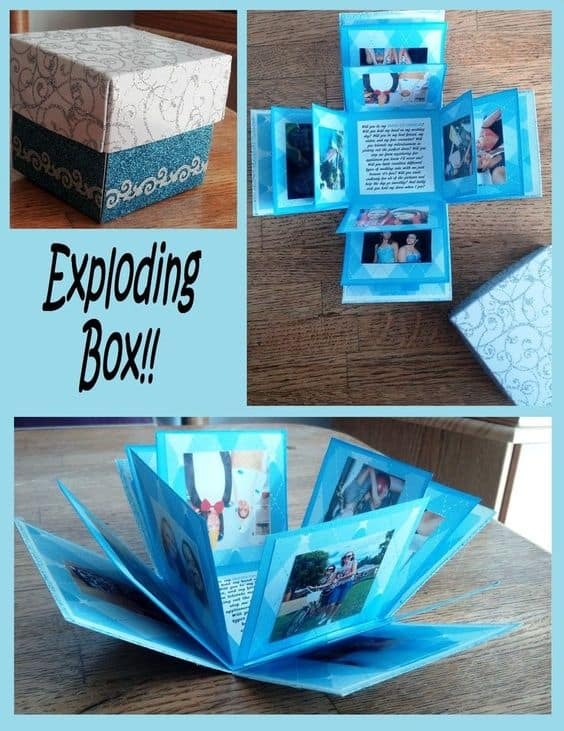 I found this on Etsy so if you aren't crafty you can definitely buy it but this would be so easy to make!! You could even set up a little girls night and do it with your friends and then ship it to your boyfriend once it dries. 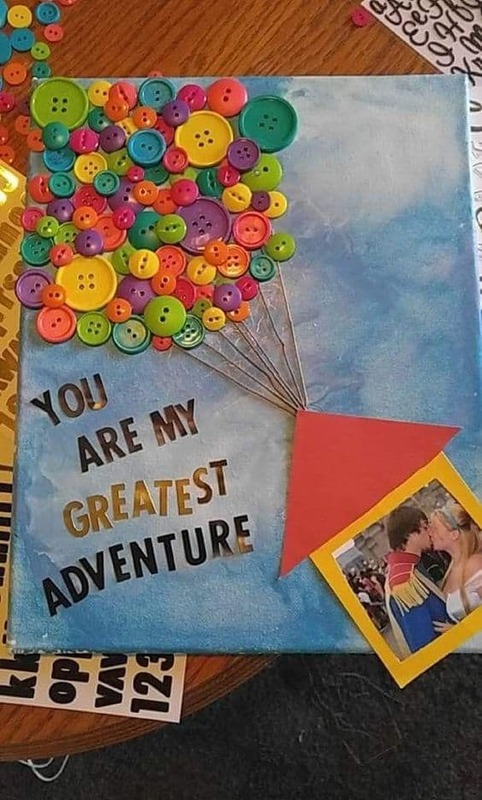 Love UP! 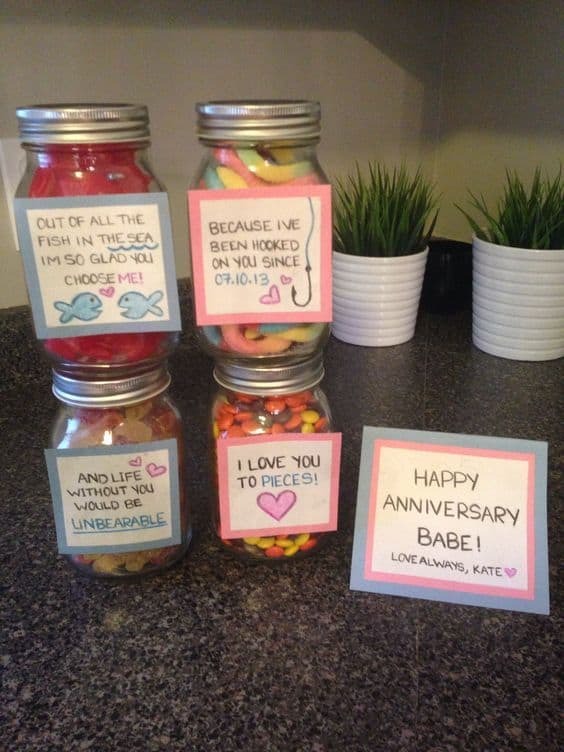 Such a cute idea. Supplies: Old Photo Book, Paint, Supplies to fill the pages. This would take a lot of effort but if you have time this is such a good one. You can even leave pages towards the end and then fill it in together later! 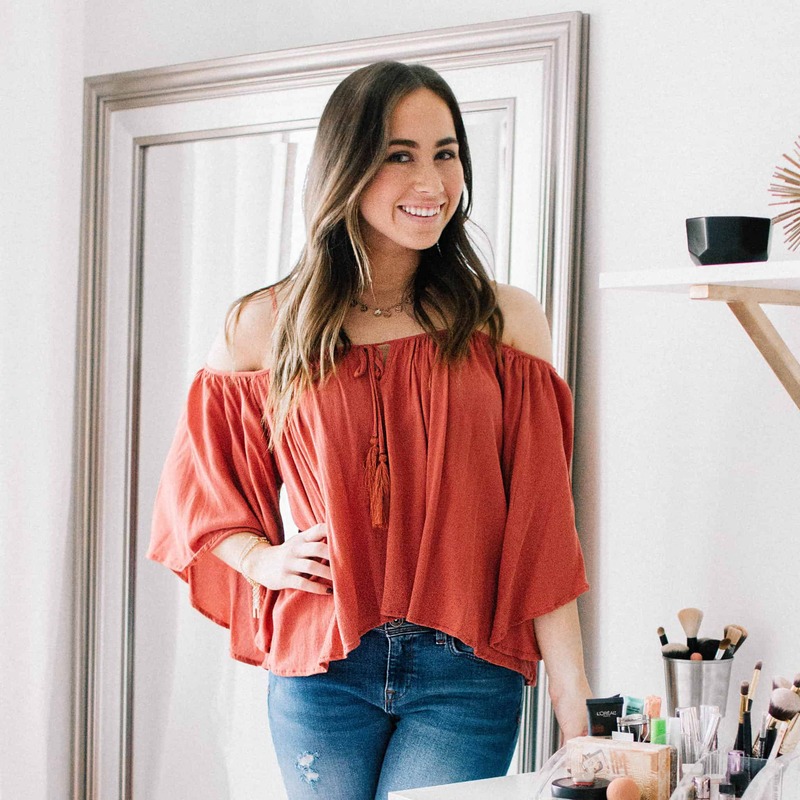 Really inexpensive option that would take very little time to put together! Isn't this cool?! I have never seen anything like this before and love it! My personal favorite thing to do with my boyfriend while he is apart is schedule "facetime dates". We will pick one of our favorite shows or movies and spend the night watching the same thing while facetiming. Kind of sounds lame but its actually so fun! 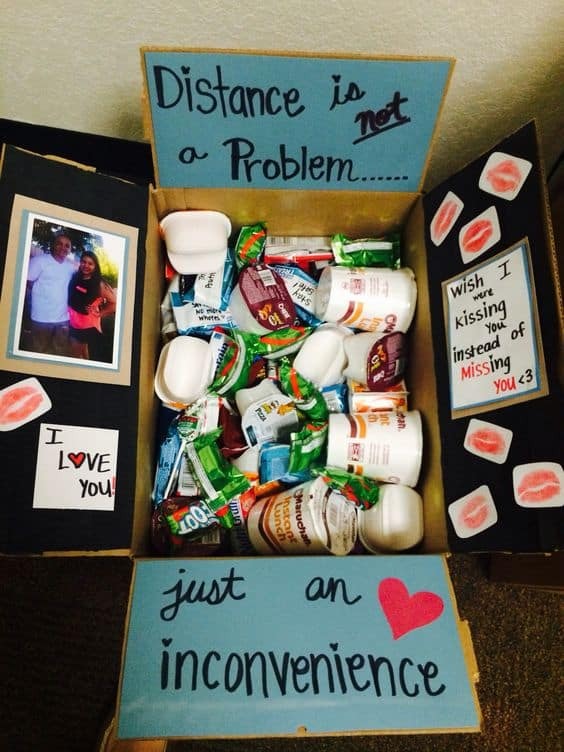 Long distance relationships are never easy and the little ways to show you love him leave a huge impact. 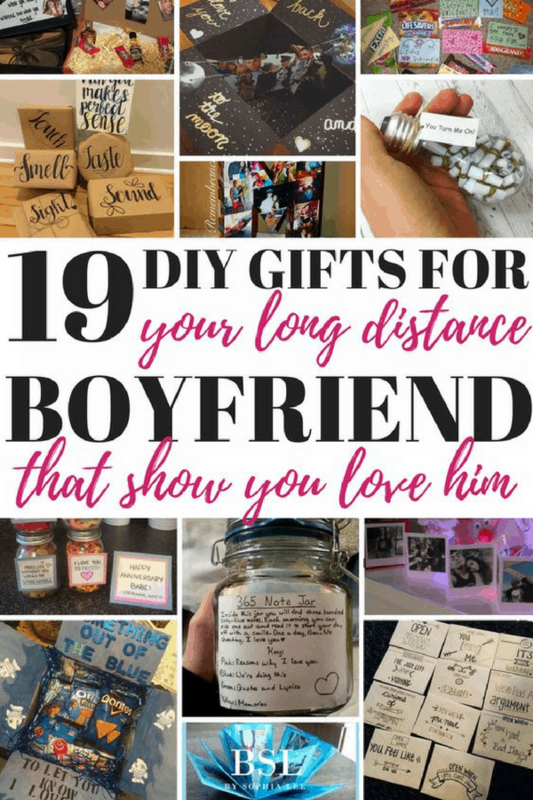 These 27 DIY gifts for long distance boyfriend are perfect reminders to let him know that even if you aren't together in person, he is still on your mind. Pin this to remember it for later! I absolutely love this! I just recently got into a long distance relationship and will be using some of these gift ideas in the future 🙂 Thank you! He would love it!! You’ll have to email me a picture of what you end up sending if you ever do! !